Book Direct on our official website for our Best Rate Guarantee. At the Kilmurry Lodge hotel, we love to reward our guests when they book here on our official website, by guaranteeing your rate will be €10 cheaper than any other website! There are no hidden costs or bookings fees so book here for the best rate today. 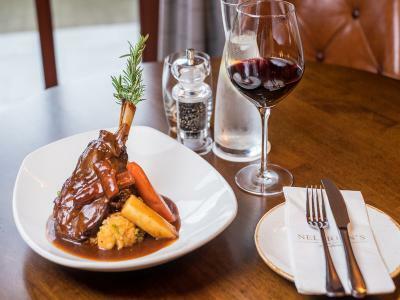 Treat yourself to an Overnight Stay with Dinner in Nelligan's Bar & Restaurant. Whether you are looking for a romantic getaway, catching up with friends or a family night away, there is something for everyone at the Kilmurry Lodge Hotel! •	Check-in from 3:00pm. Check-out from 7:00am to 12:00pm. •	No pets are allowed. However, guide dogs are welcome. Our excellent customer service and facilities will guarantee that your stay with us will be a memorable one!